What’s the Difference Between Grocery Shopping in Ethiopia and Canada? Lemlem tells all in the Pharmacy. 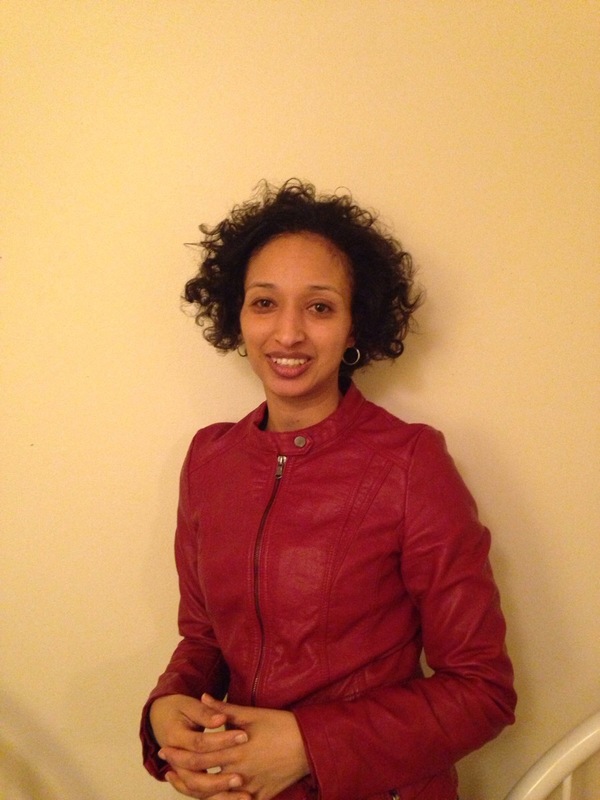 Lemlem was a pharmacist by trade in Ethiopia for eight years before moving to Canada. She is currently a Pharmacy Intern (with permit) and will soon be writing the necessary exams to attain her Canadian Pharmacist designation. Lemlem was kind enough to share her experiences as an immigrant to Canada for my Nutrition Month project. Lemlem is an asset to our country, a permanent resident and a soon-to-be citizen of Canada. Lemlem is extremely generous with her personal and professional time. She once gave me a 4-hour cooking lesson teaching me basic Ethiopian cooking methods and four traditional Ethiopian recipes. She’s a great cook and as far as pharmaceuticals go, she knows her stuff. What were the initial barriers related to food that you faced when you moved to Canada? At first, it was tough to find Ethiopian traditional food which is food that I was used to eating. I didn’t bring that many spices from home so it took me a while to find the stores that sold Ethiopian spices and get used to eating the Canadian foods. I’d say it was difficult for the first three months and then I got used to cooking easier meals from Canadian grocery stores just once and a while. Now I only eat Ethiopian foods two or three times a week and I’ve adjusted the diet of my family to foods that are from Canada. What’s your favorite dish that isn’t Ethiopian? One of our family favorites is spaghetti. Did you face any major barriers changing your diet from Ethiopian foods to North American foods when you first came to Canada? Vegetables are vegetables everywhere so it was an easy conversion for me to cook healthy in Canada. I always add fruit or vegetables to our meals. What are the differences between grocery shopping in Ethiopia and Canada? The grocery stores here are so big, they even have the cultural sections that I can get similar spices that I’d normally use at home. They don’t usually have Ethiopian spices but the Oriental section does have similar spices that we use so I was familiar with them. Did you live near large grocery stores in Ethiopia? There are bigger stores in Ethiopia but they aren’t like the stores here in Canada. The bigger stores in Ethiopia are very small compared to the stores here they are maybe one tenth of the size. You can’t find everything in one store in Ethiopia like you can here. What were your first thoughts of the grocery stores here? In Ethiopia if you want to buy meat you go to the meat shop and if you want to buy vegetables you go to the year-round open-air markets. You have to go to three or four places to shop for a meal. It took some time for me to find everything I needed in the supermarkets here in Canada, my uncle used to help me because it was so overwhelming. It saves time to shop here in Canada because you only have to go to one or two stores rather than walking to many different shops and markets. I like the grocery stores here, they save time. What is your favorite food that other people would consider unhealthy? Honey. I like food on the sweet side so I put honey in my tea and on my pancakes. Or lasagna … I really like lasagna and maybe other people will think it is unhealthy from the fats in the cheese and the pasta. What barriers to healthy eating have you noticed in North America? I can think of three: pace, portions, and salt. The pace of life here is too fast. The lifestyle in general puts pressure on people and they end up eating fast foods because they think they don’t have enough time to cook healthy meals. I also noticed that the portions of food here are quite big. When I first came to Canada I saw how large the portions were it is very different to the portion sizes in Ethiopia. The plates are bigger too. The foods people choose for convenience have too much-added salt. The salty food shocked me when I first arrived in Canada. People want to choose salty foods more often because their taste buds are used to the saltiness. You mentioned some interesting barriers to healthy eating. What do you think the government could do to help with these barriers? Creating awareness to inform people about healthy food choices. The government could use the media and the school systems to help people attain resources to learn about nutritious foods. If people don’t actively seek out information they won’t learn about it so we need the information put out there. I had a friend introduce me to quinoa but I didn’t know how to cook it. I found it in the store then I had to google how to make it and now I make it frequently. People need to take the time to research how to make new foods otherwise they limit themselves by not making the effort to try. If you could tell people one message about healthy eating what would it be? Try to watch the portions of food that you eat and if you are going to eat out be aware of your choices. Eating out is usually for a social experience not just for the food so try to make choices that are healthier by including fruits or vegetables that you will still enjoy. Do you know of any foods that people think are really healthy but in truth they aren’t or are confusing? Fat-free yogurt. I like yogurt myself and I know that I used to be confused by the marketing of fat-free foods. People think fat free means healthy but fat free yogurts can be loaded with added sugars. I think people need to remember to look at the ingredients and food label to see how much sugar is added. On the weekends, I like to cook my favorite breakfast: omelets with bell peppers, onions, cheese, and tomatoes. Do you find that your job gets in the way of what you’d like to eat? My job does keep me busy; however, I always try to cook ahead and take packed lunch to work. In that way, I can still eat the food I like during my lunch break. Thankfully, I can plan my daily routine to allow me to eat at least three main courses in a day: breakfast, lunch and dinner. If I feel like having a snack in between, I always keep some fruits handy. I think I know the answer but I’ll ask anyway if you could sit down to a meal with anyone who would it be? My husband (Lemlem’s husband is a pilot for an African Airline and they only get to see each other a few times per year). Thanks to Lemlem for sharing her time and experience with me for my Nutrition Month project. Thanks Andrea! I’m having so much fun writing these interviews. It’s been enlightening!